Hayling Island has now flown the prestigious Blue Flag for more than a quarter of a century – 26 consecutive years. The Blue Flag is an international award which recognises clean and safe stretches of coastline that promote environmental education and offer excellent visitor facilities. 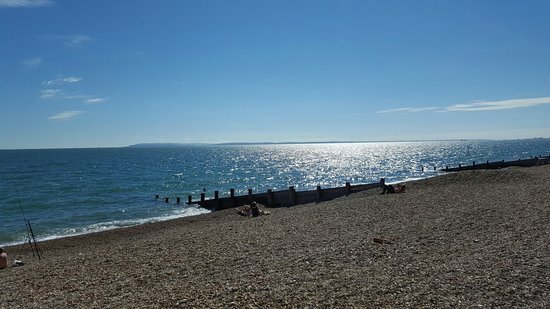 The stretch of Hayling’s beach which runs from the Fun Fair to the border of the golf club has been awarded the flag by the ‘Keep Britain Tidy’ campaign. The criteria to qualify for a Blue Flag include the provision of first aid facilities, clean toilets, recycling facilities and access for disabled visitors. The water is continuously tested during the summer season to check that it meets the strict bathing water quality standards and winners must also show commitment to environmental management and education. James Hassett, Executive Director for Operations, said: "Continuing to hold this prestigious award for the 26th consecutive year verifies Hayling Island as a fantastic coastal destination with the highest quality of water, facilities, safety, environmental education and management. "We are very proud to be the home of this beautiful beach and are also aware that very few other beaches have maintained this accolade for such an extensive time period."